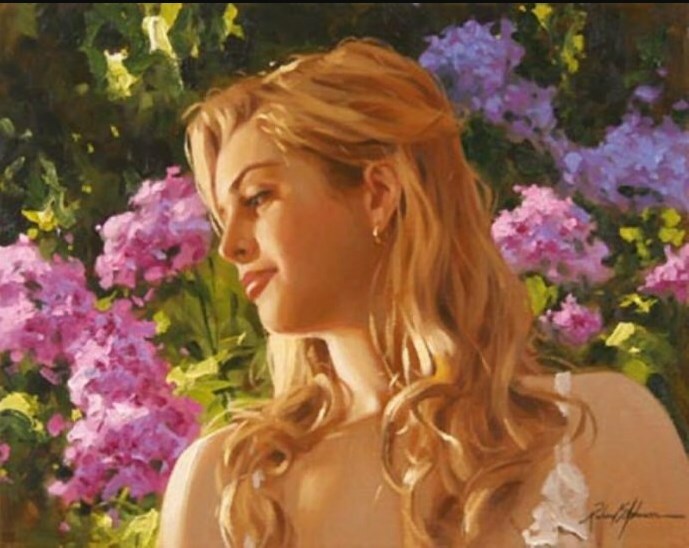 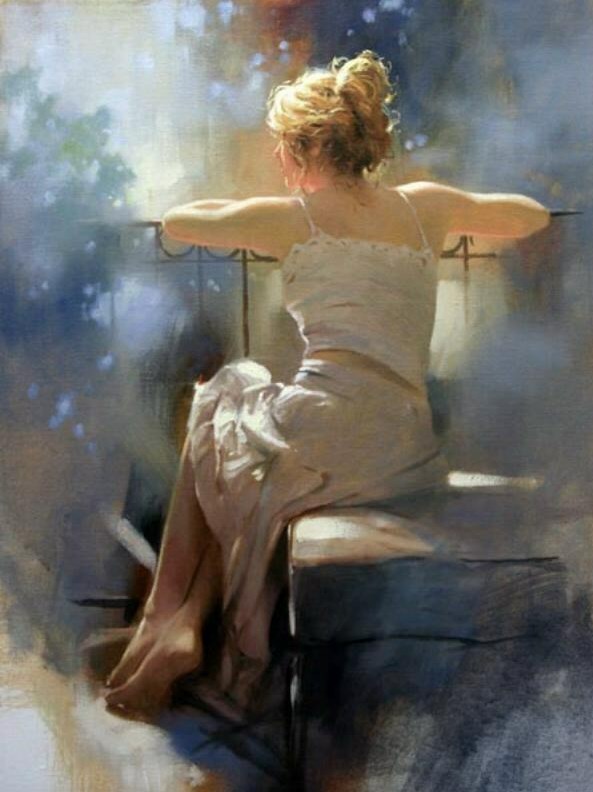 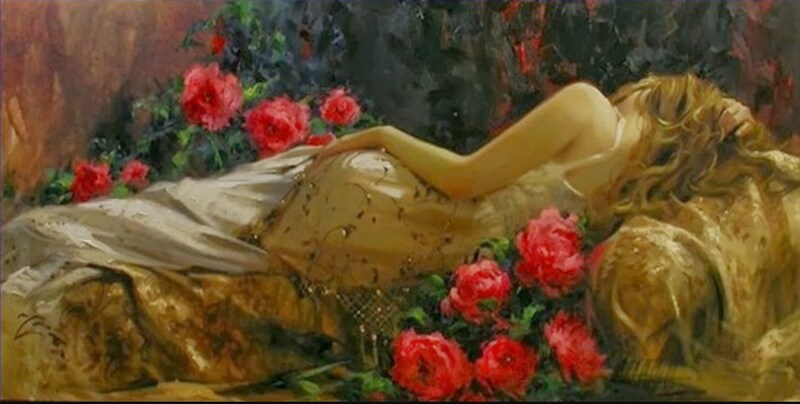 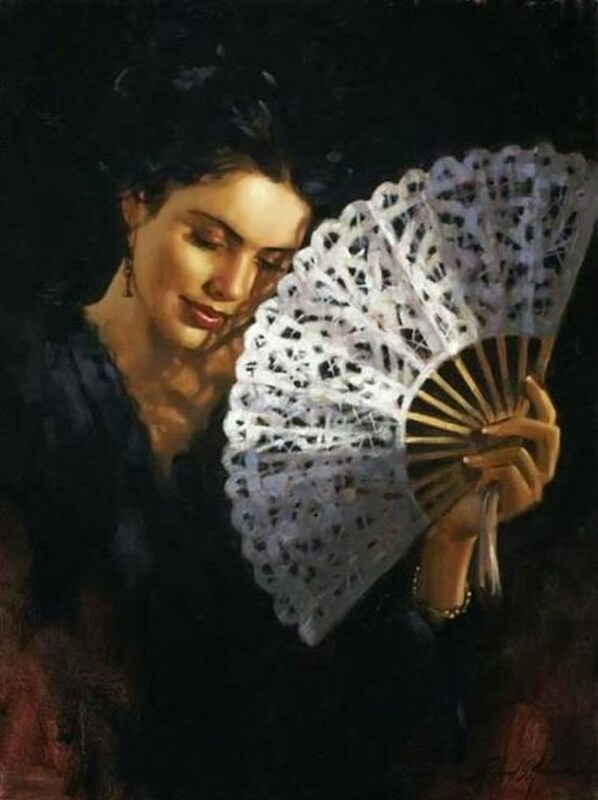 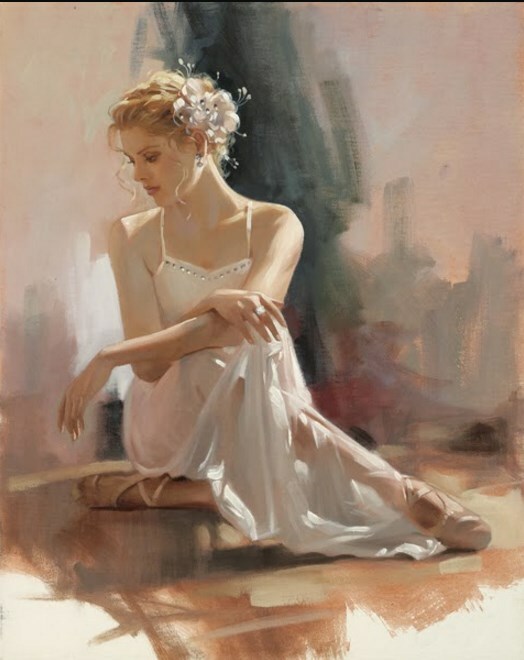 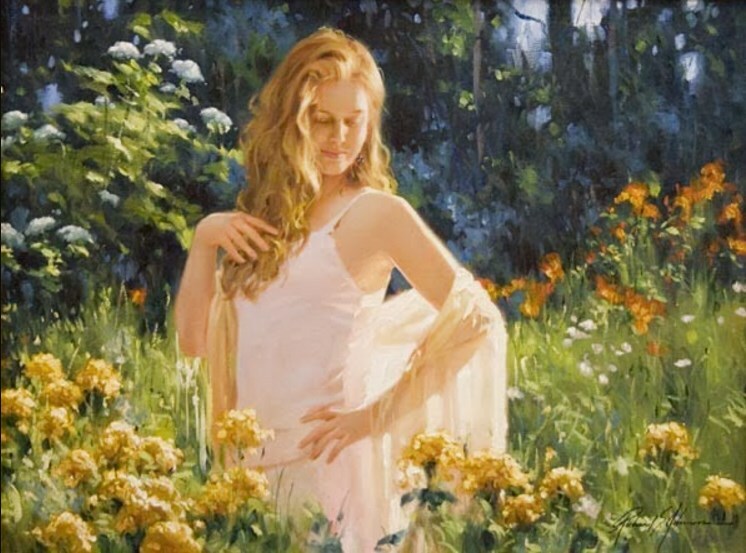 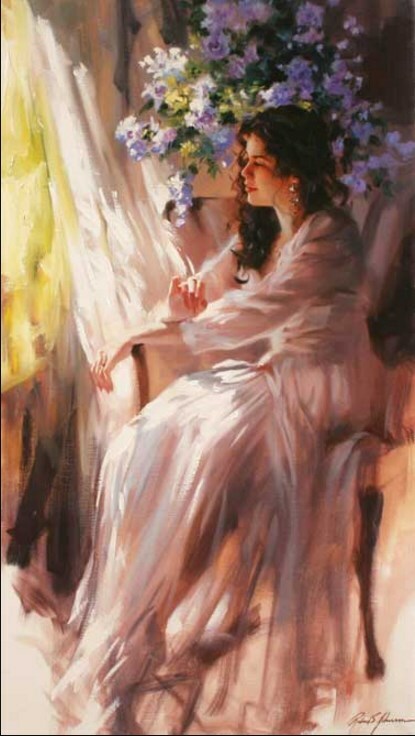 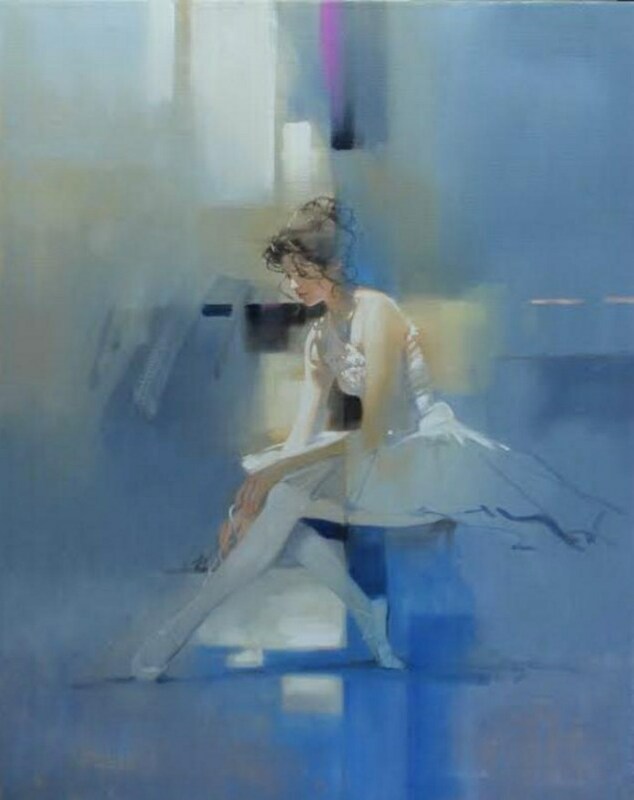 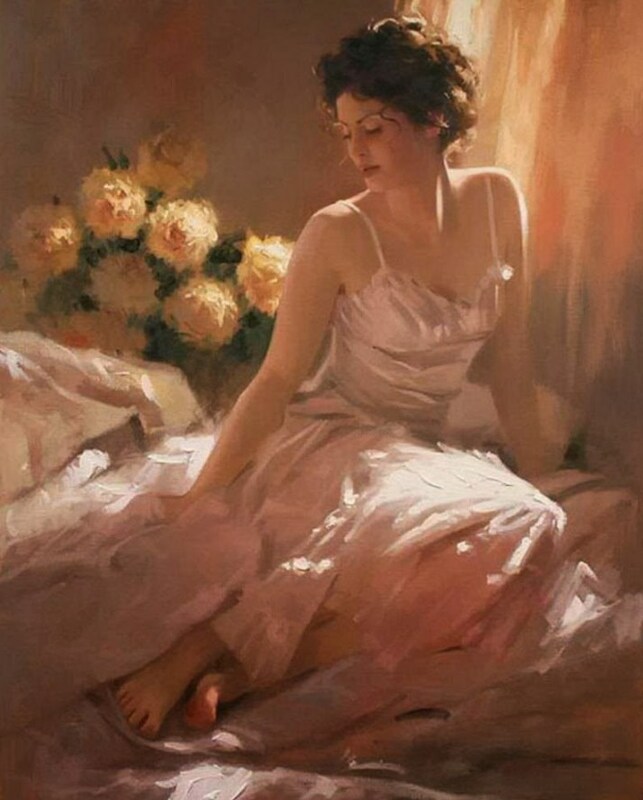 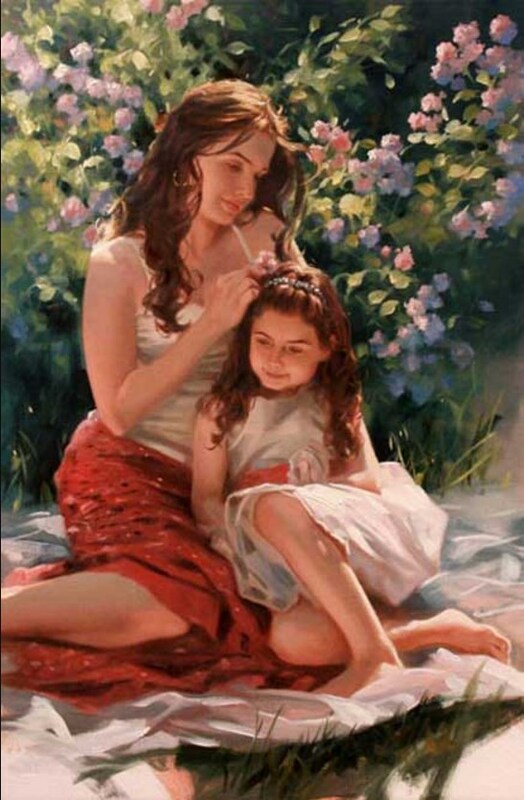 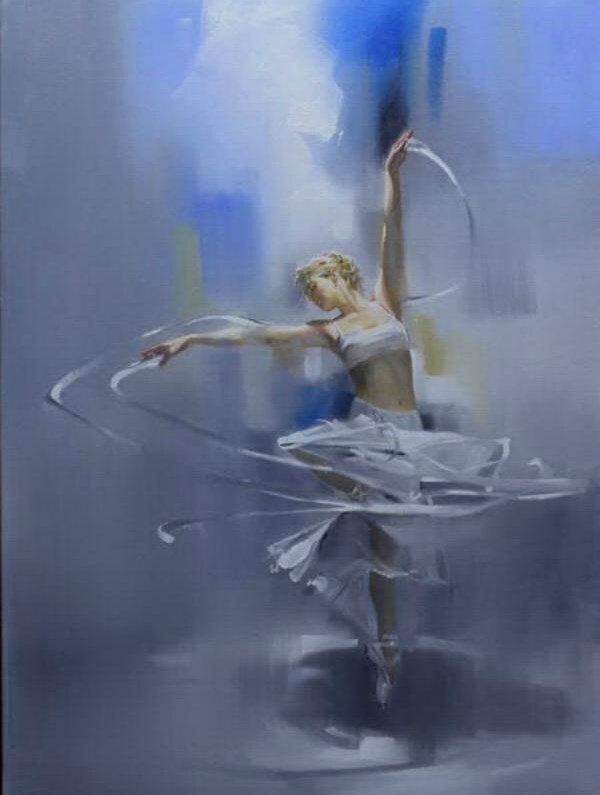 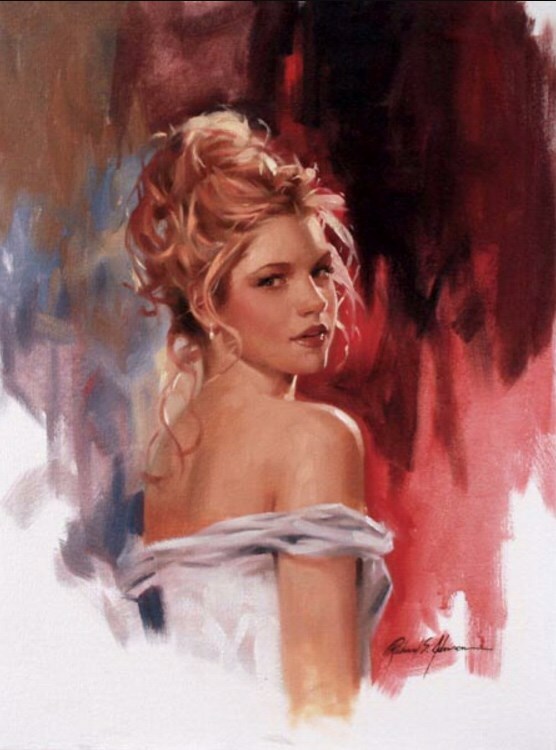 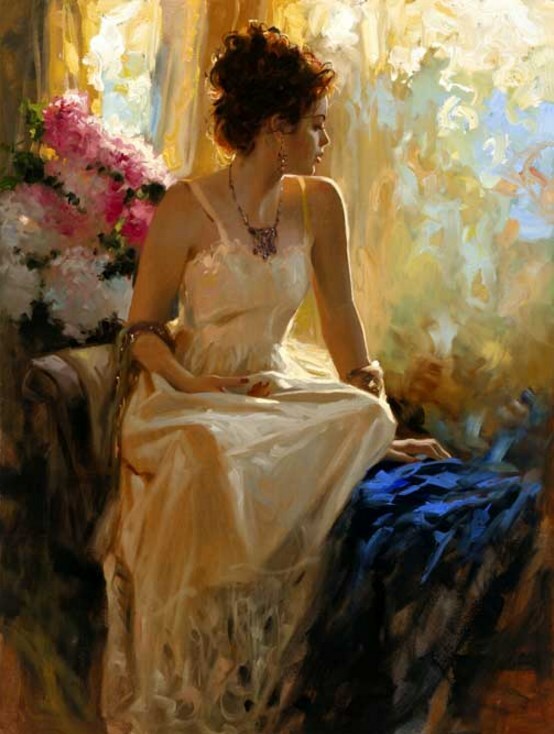 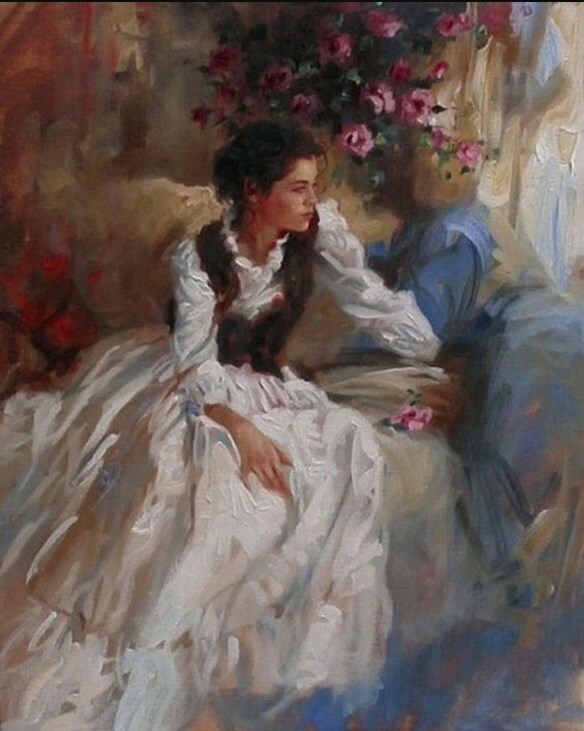 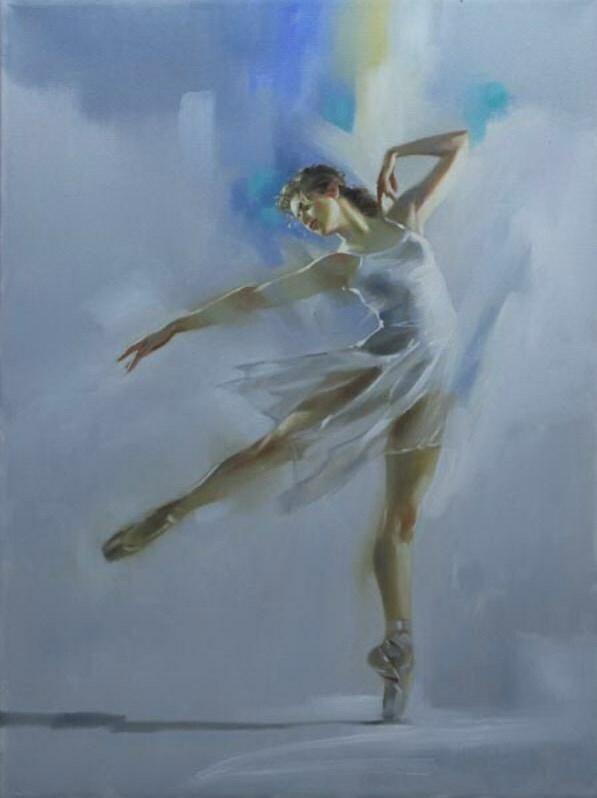 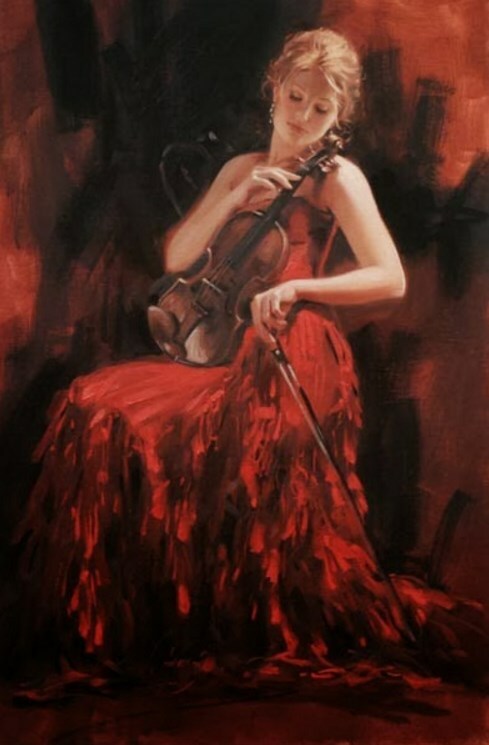 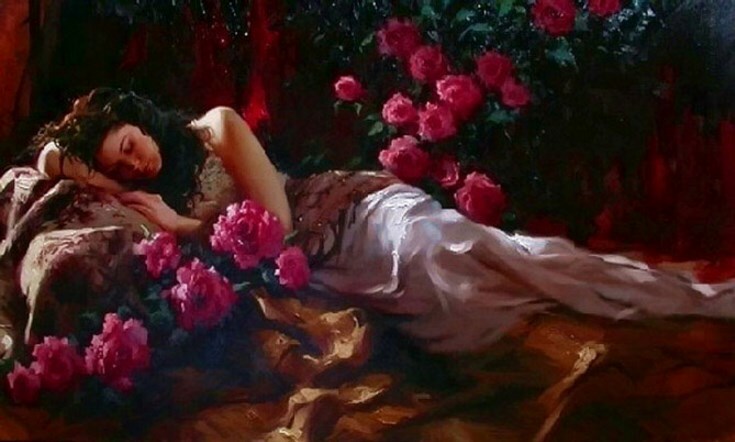 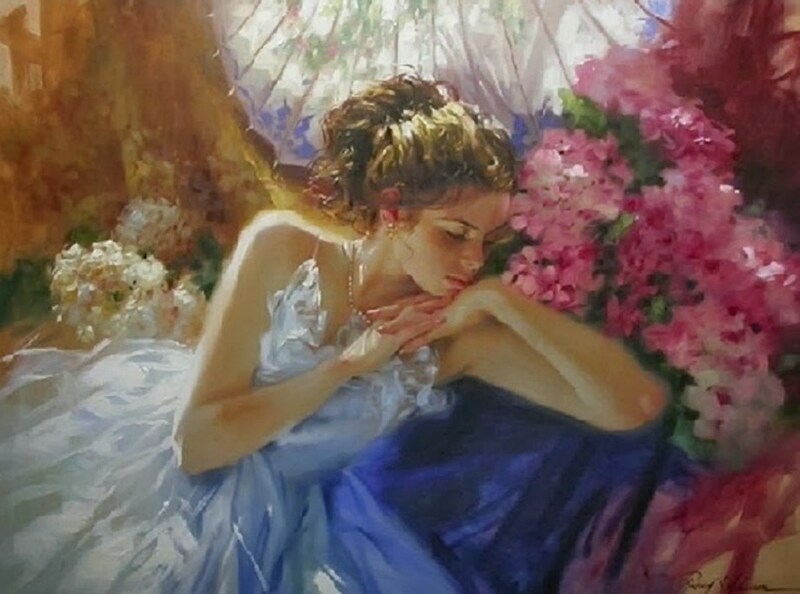 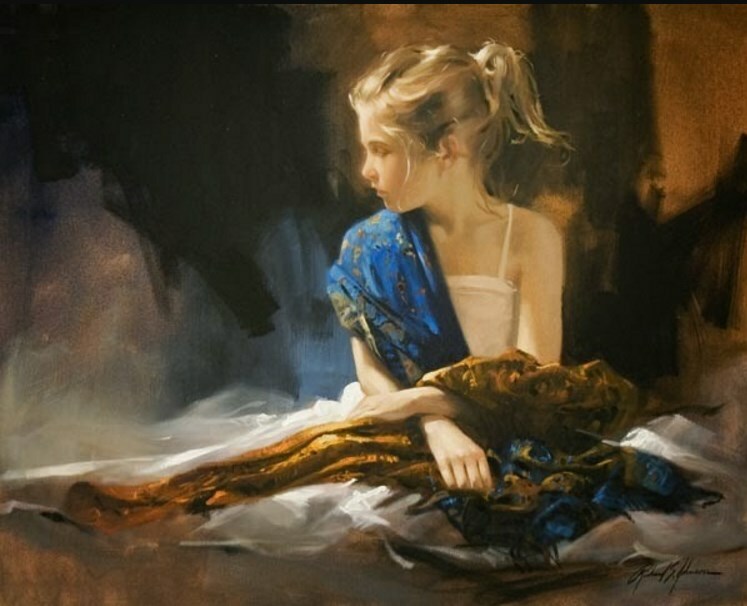 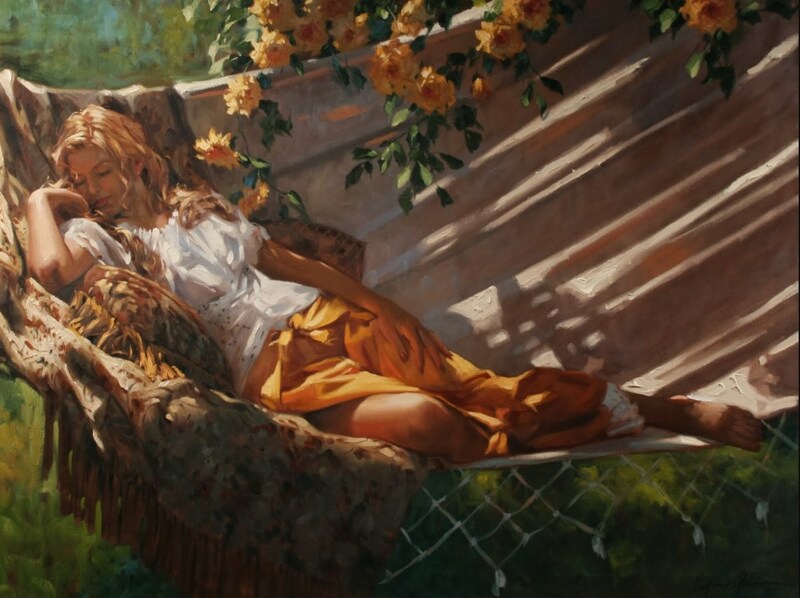 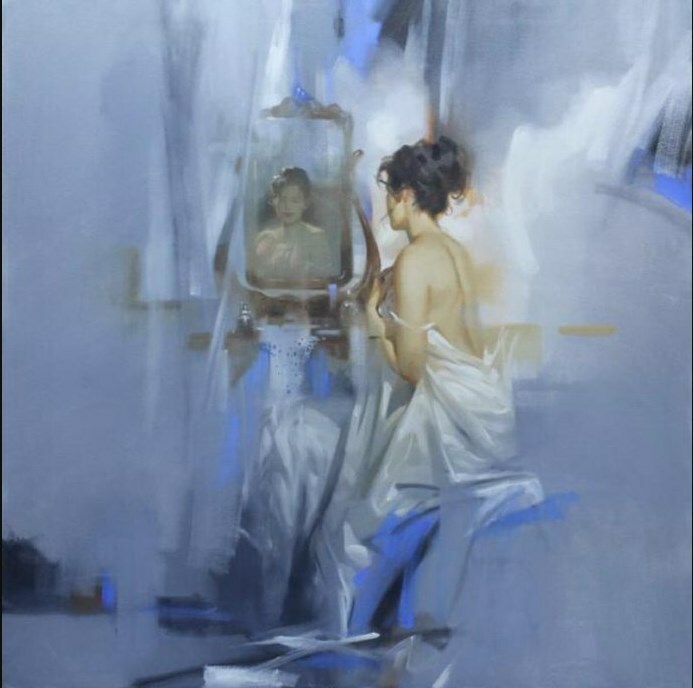 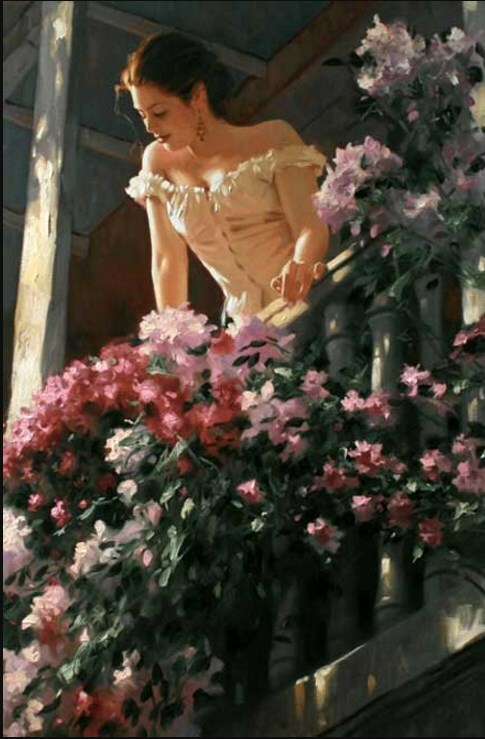 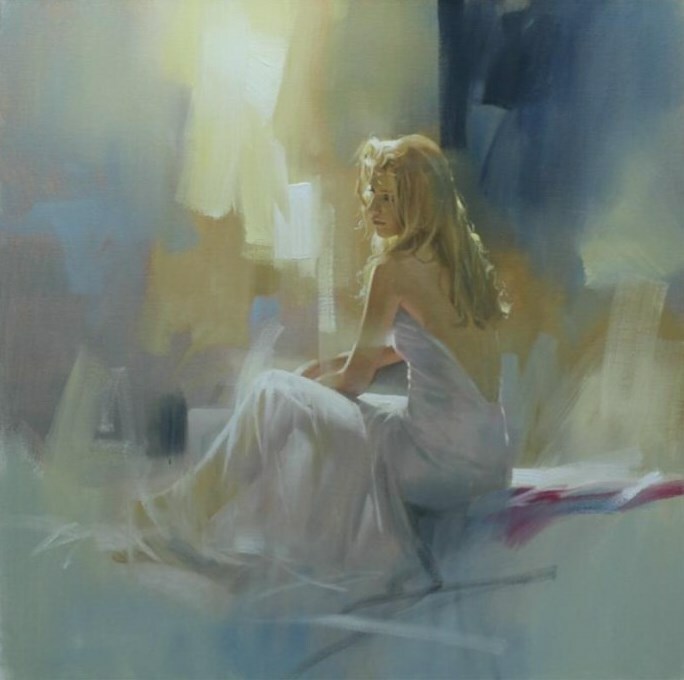 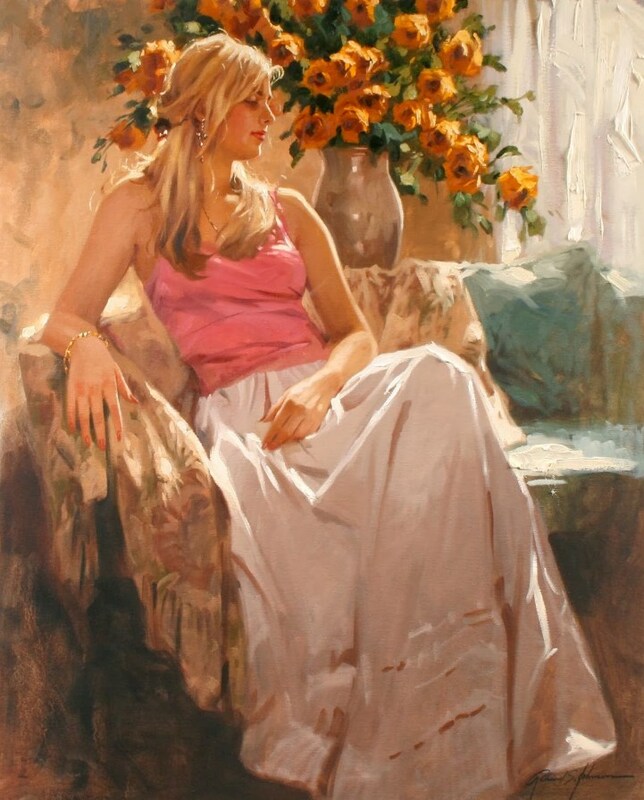 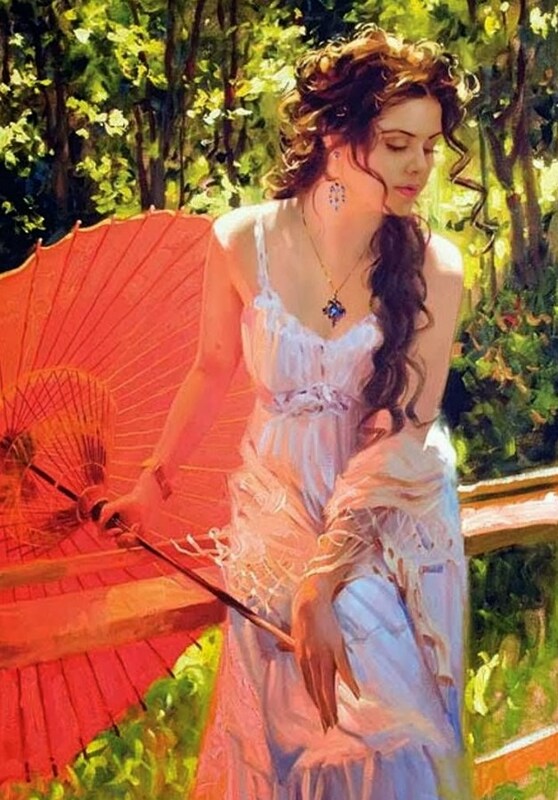 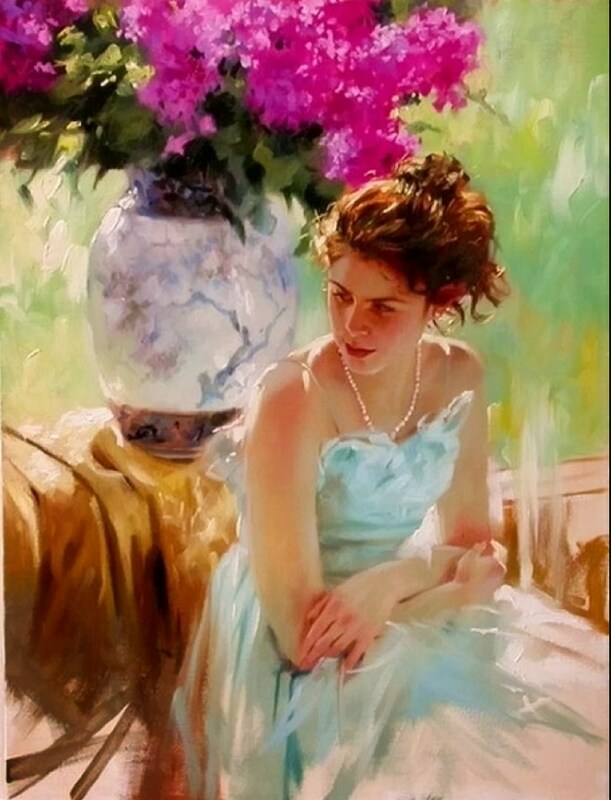 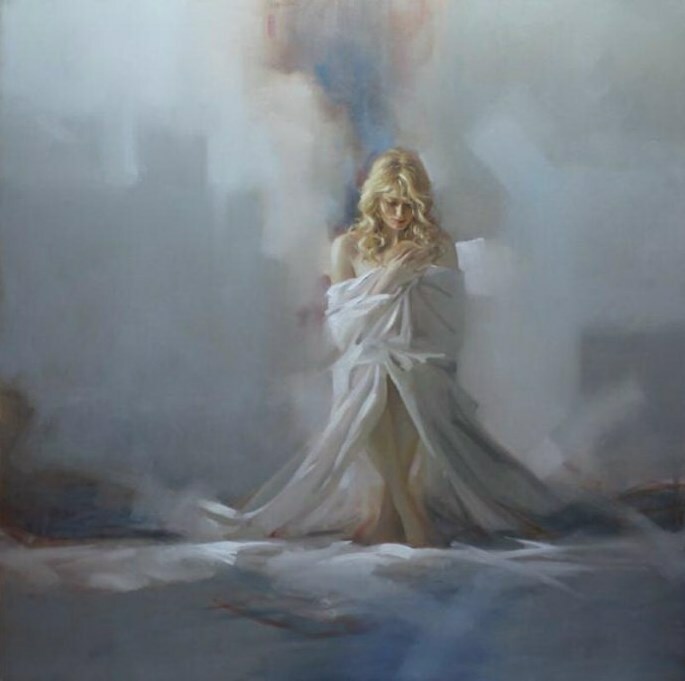 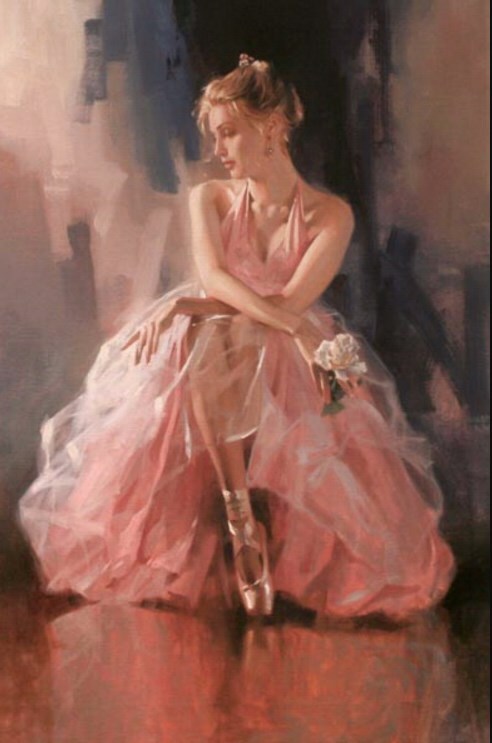 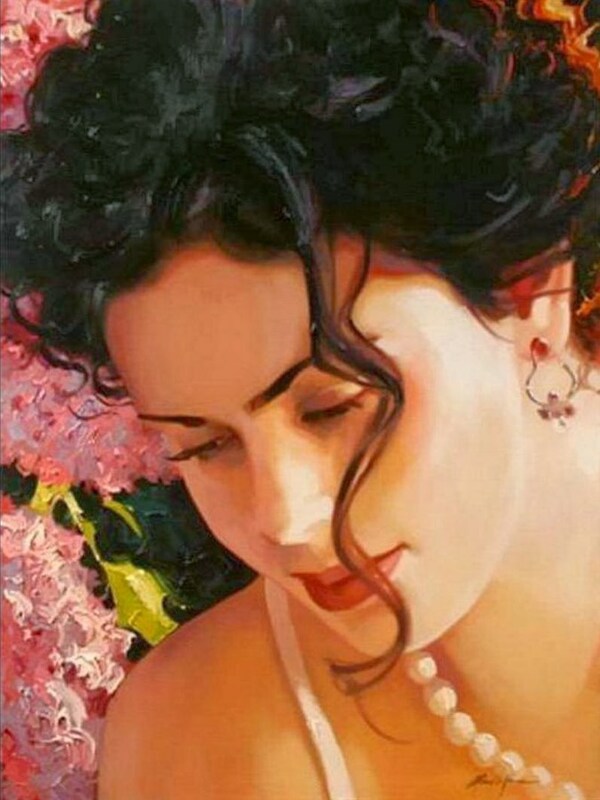 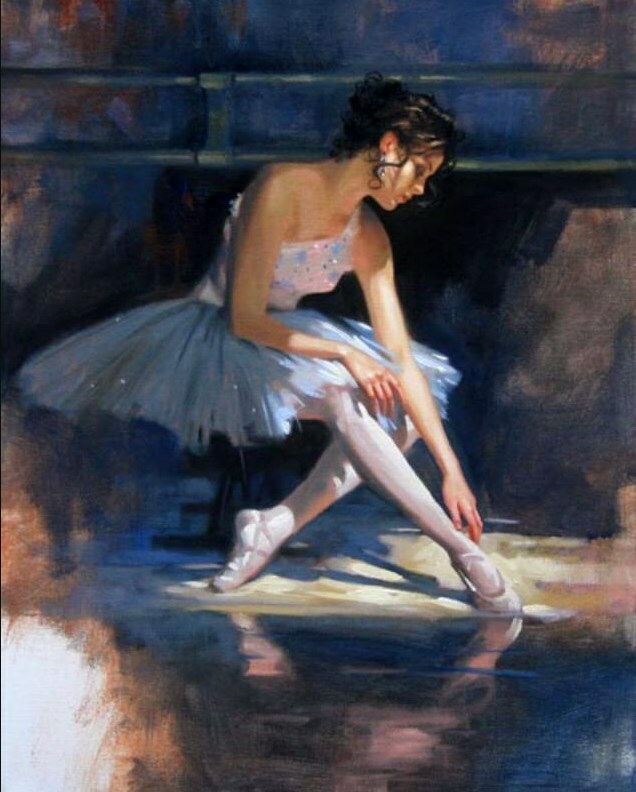 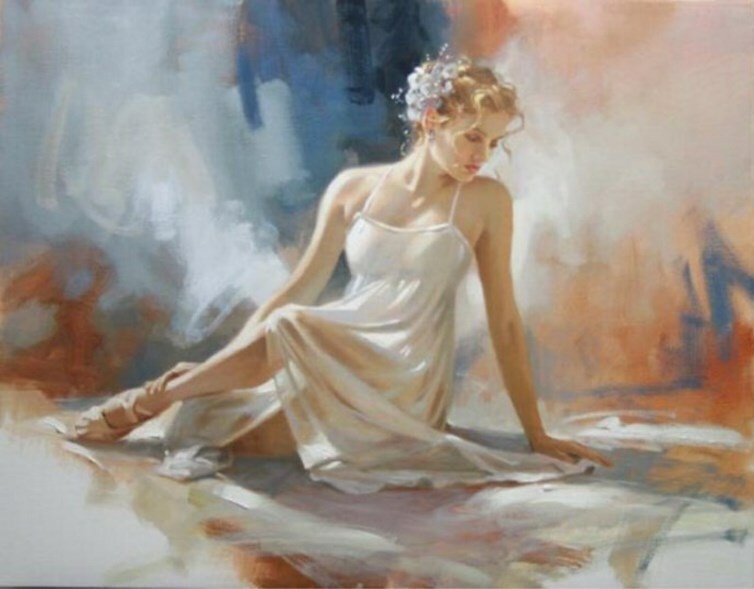 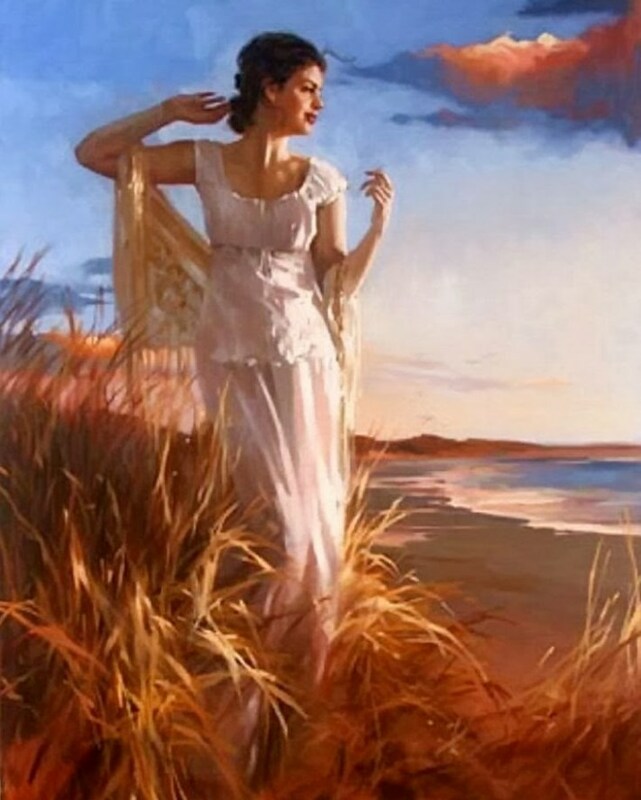 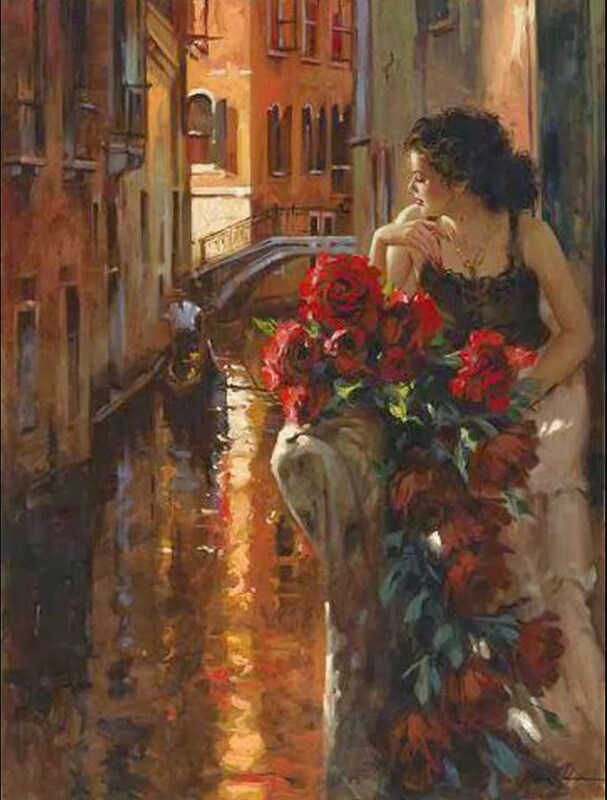 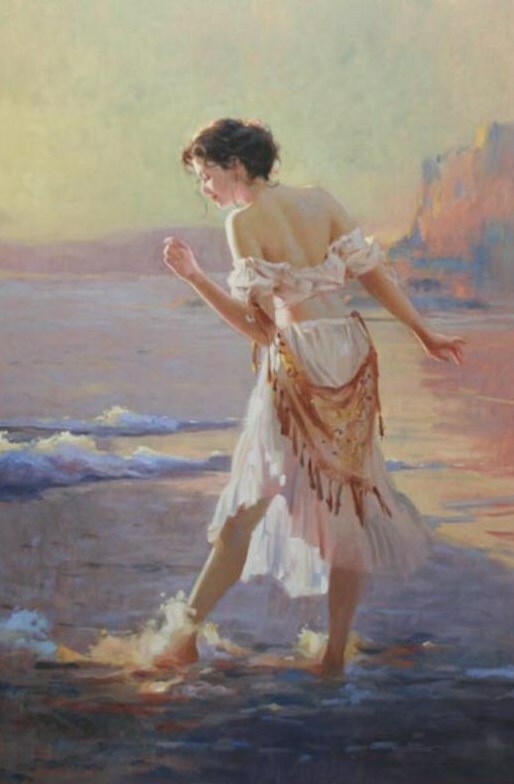 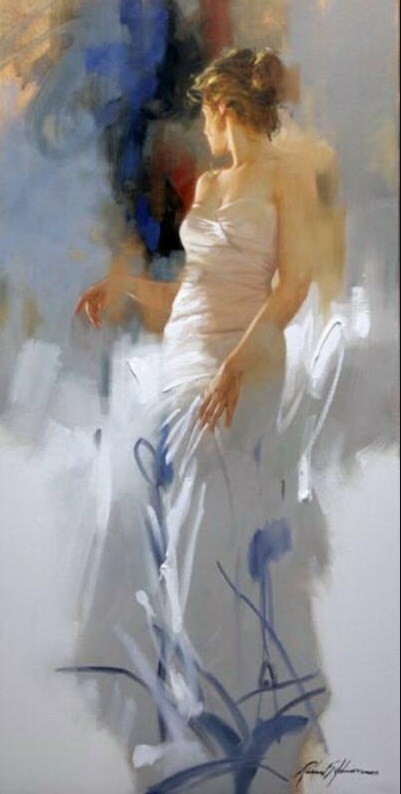 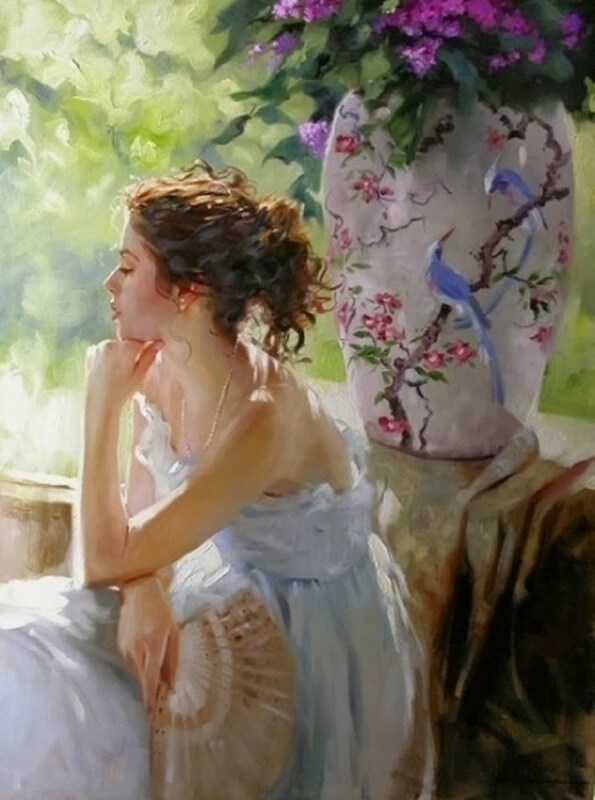 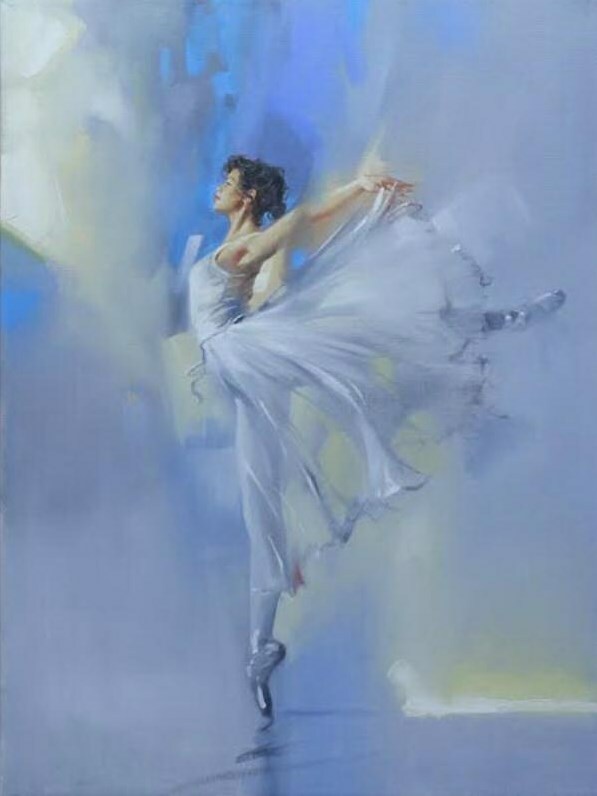 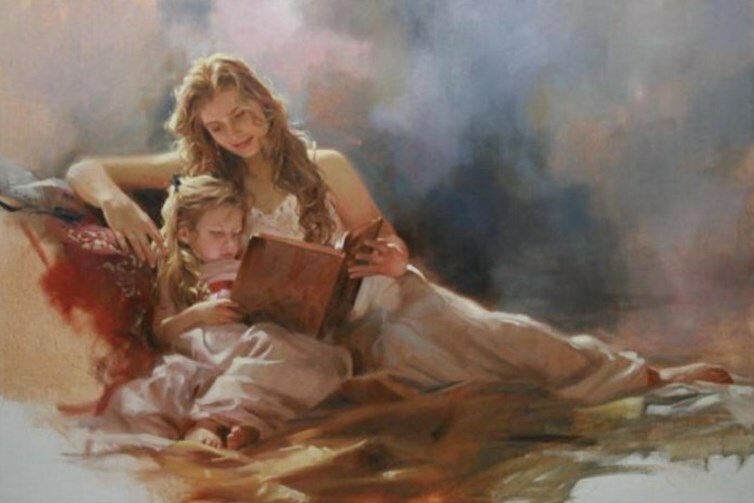 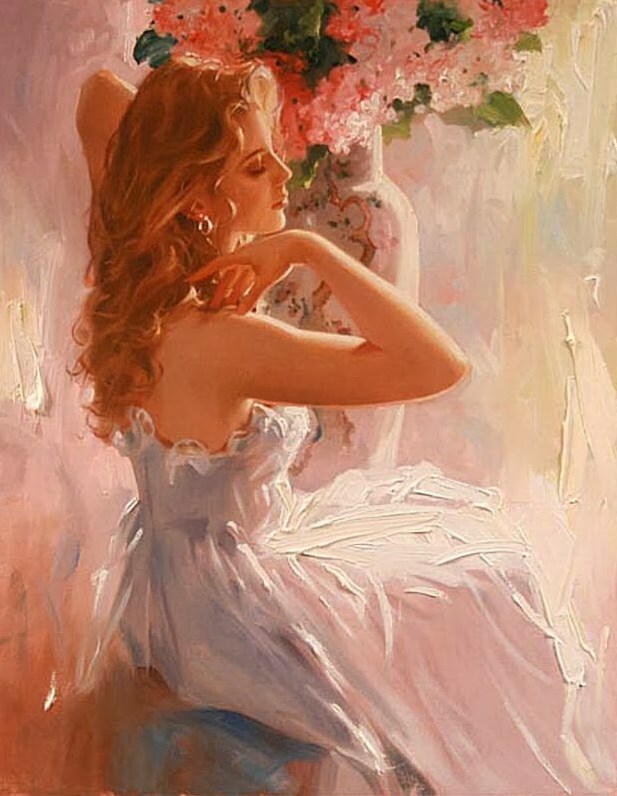 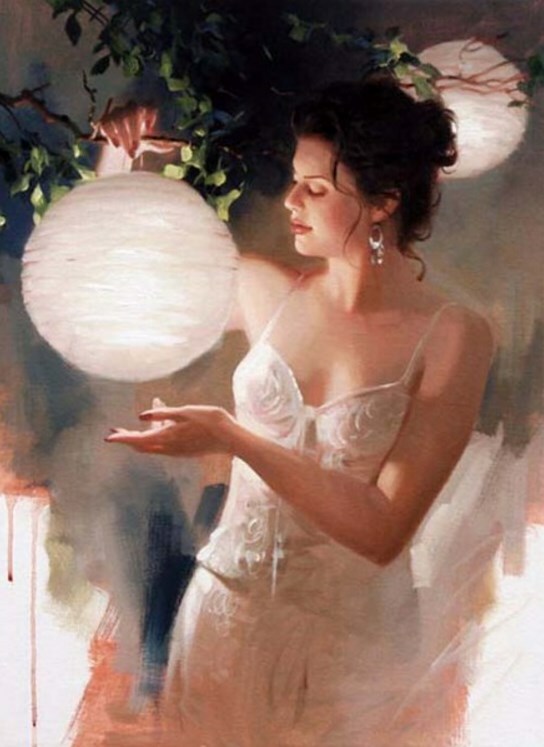 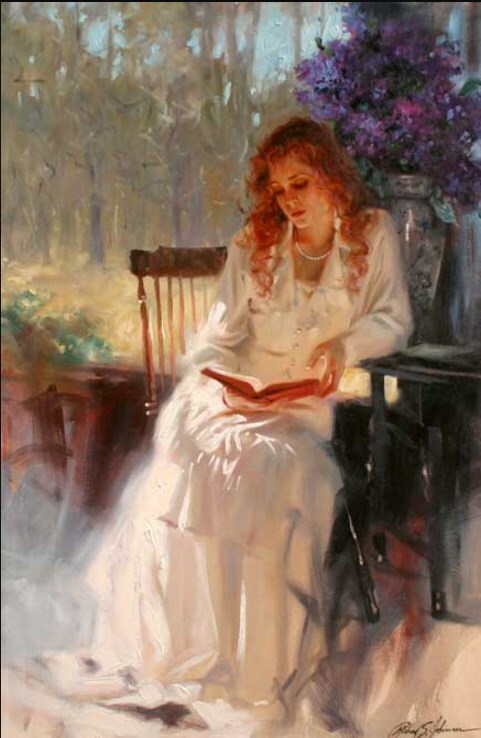 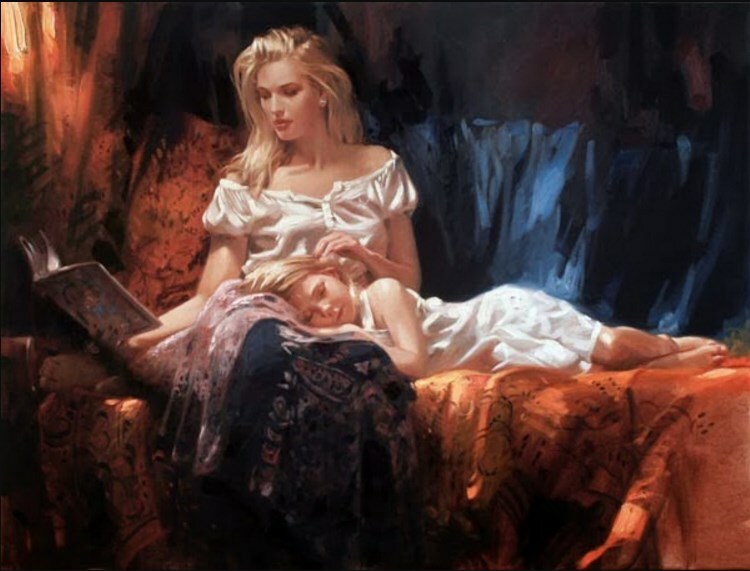 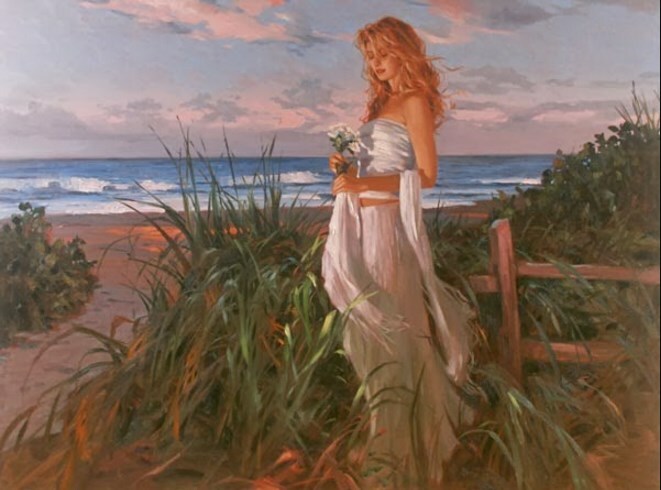 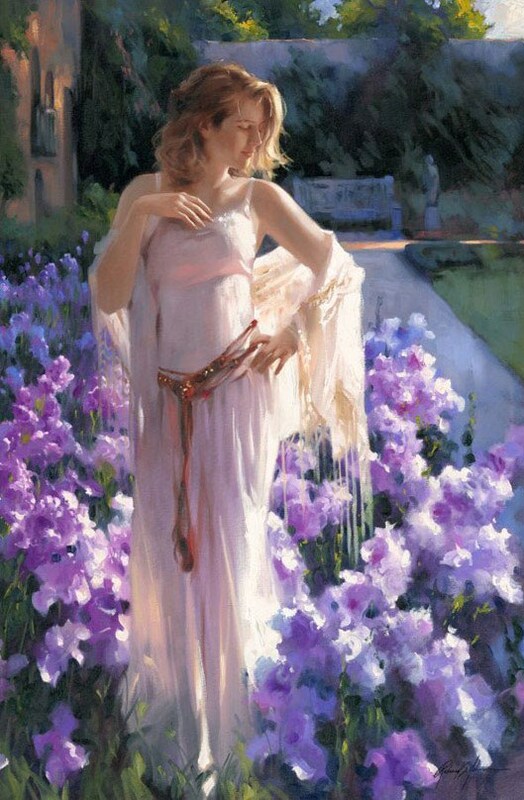 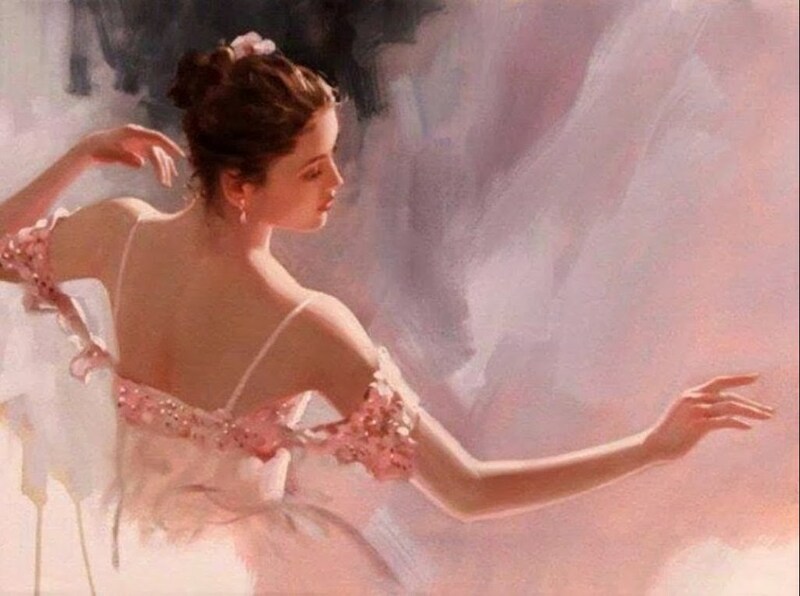 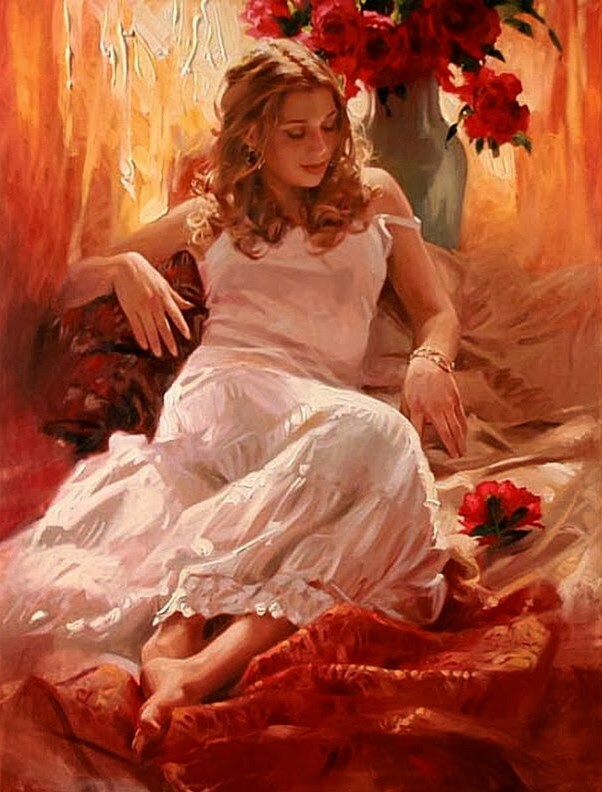 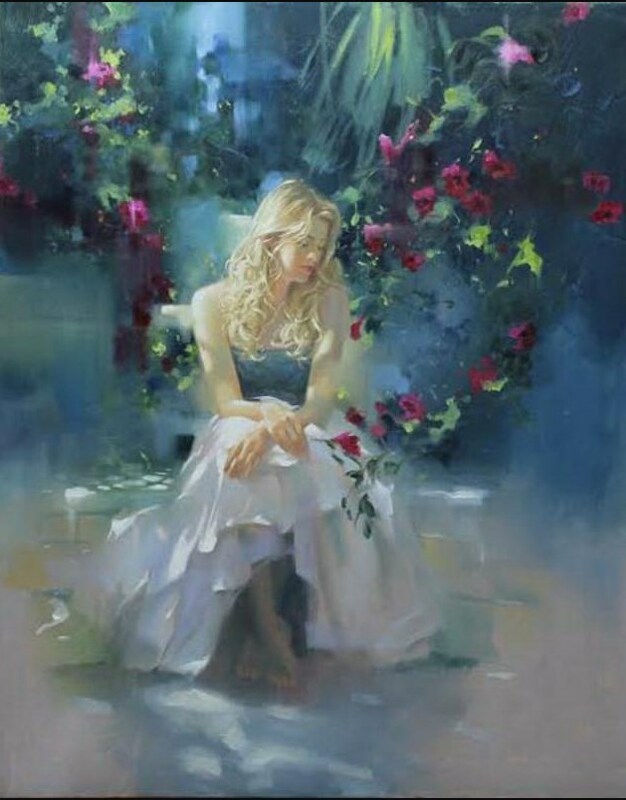 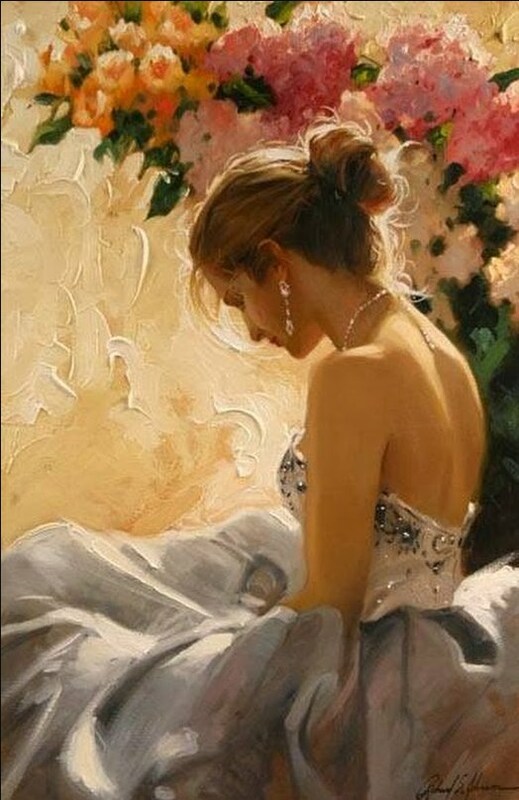 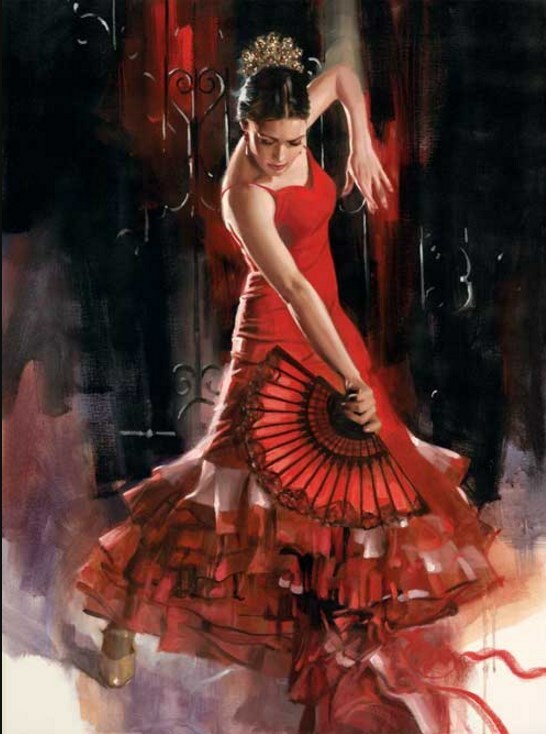 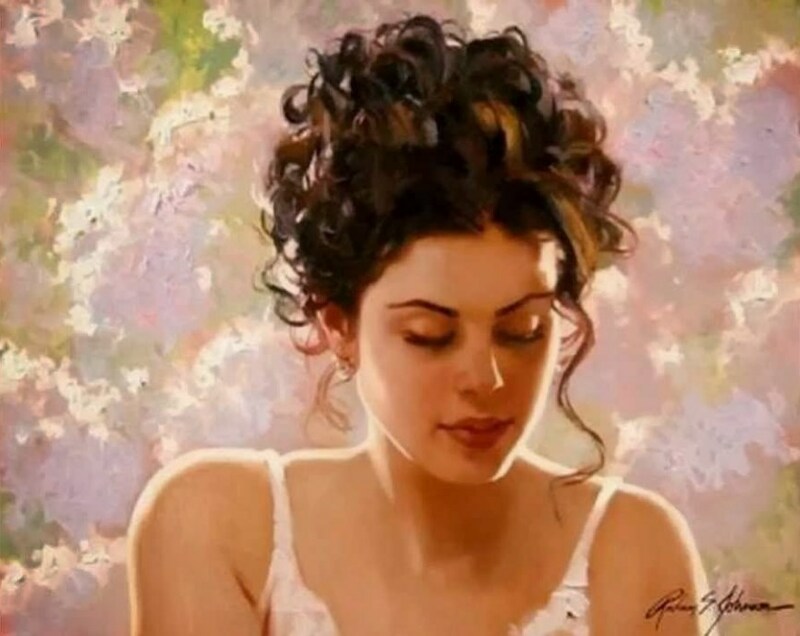 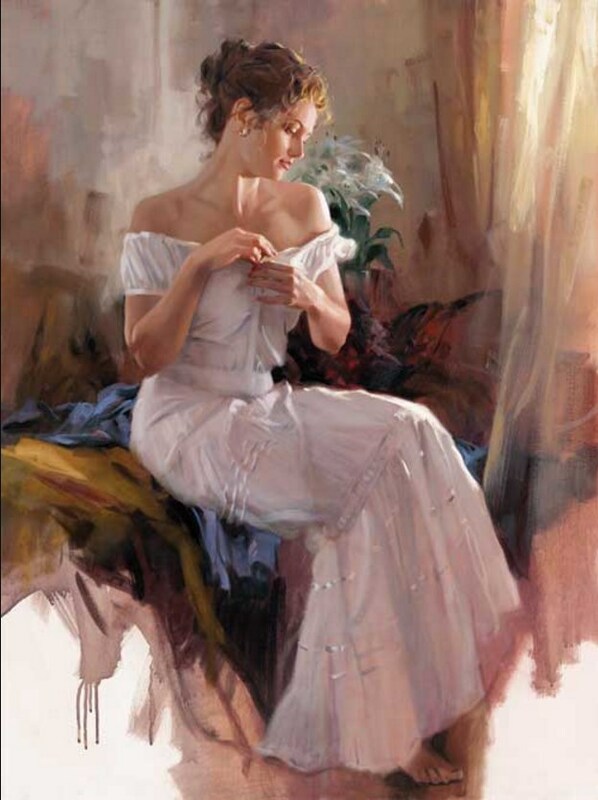 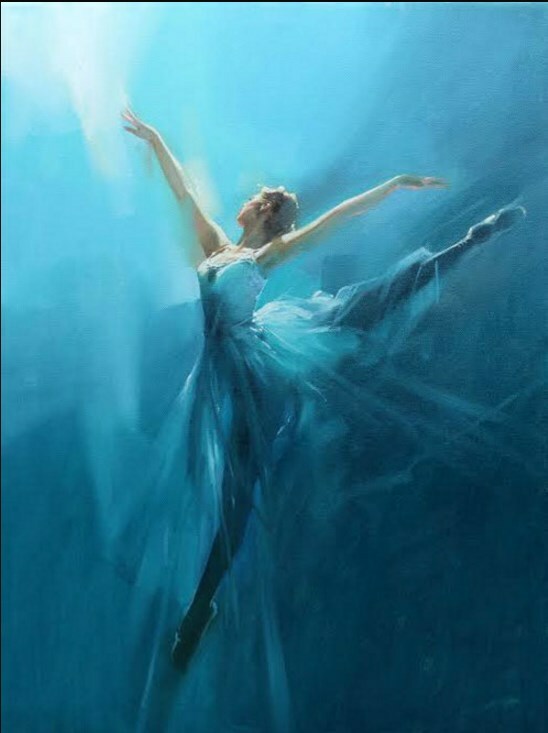 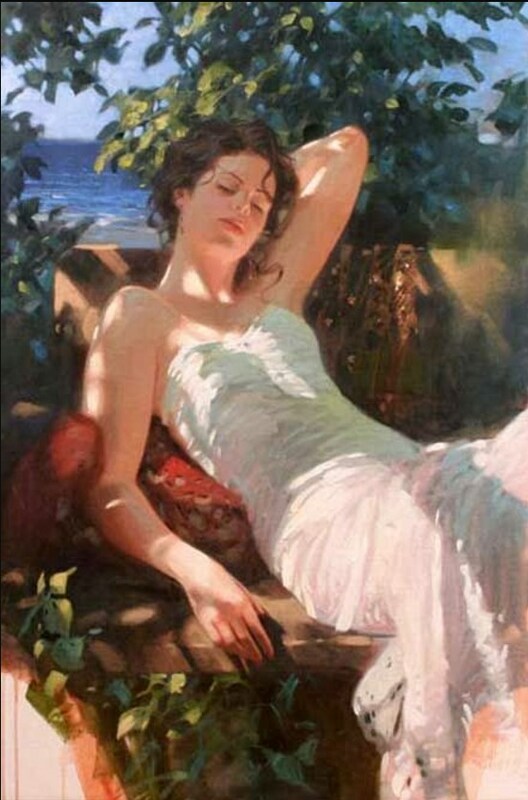 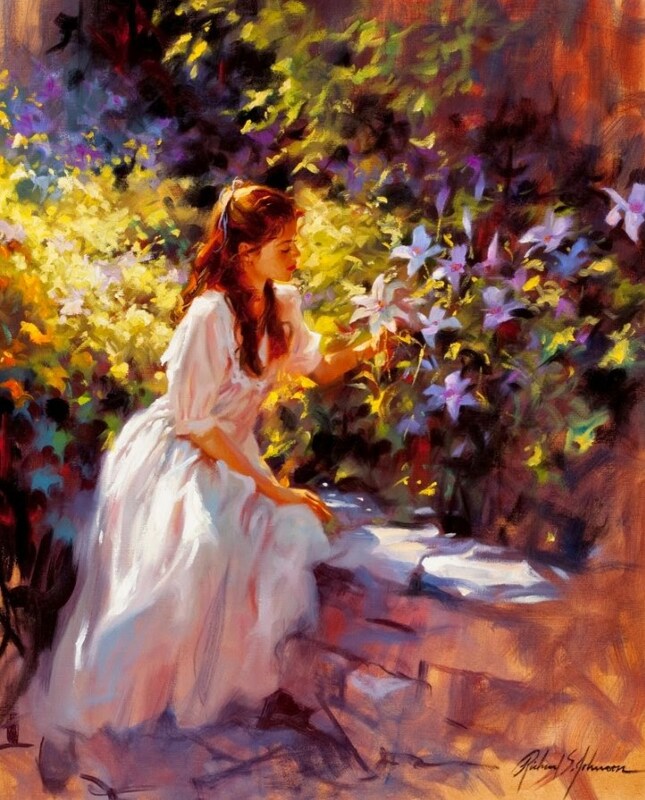 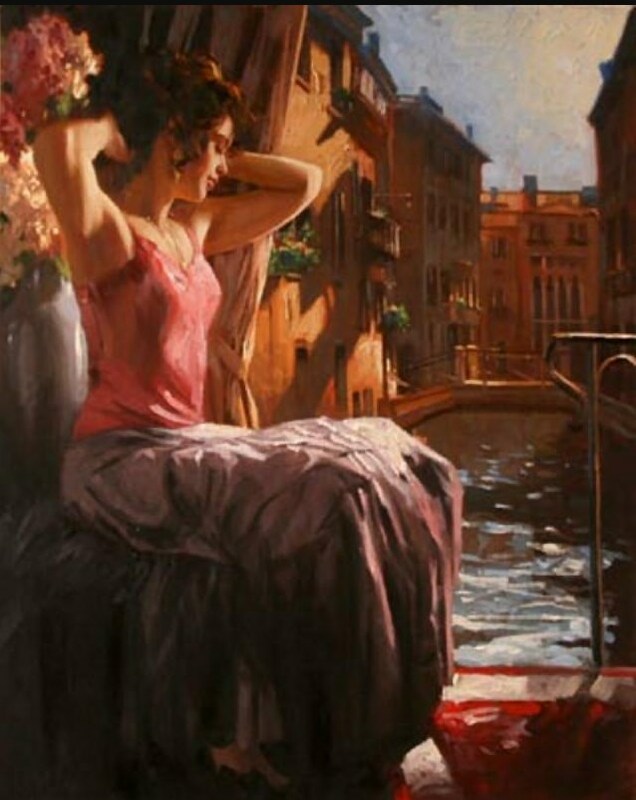 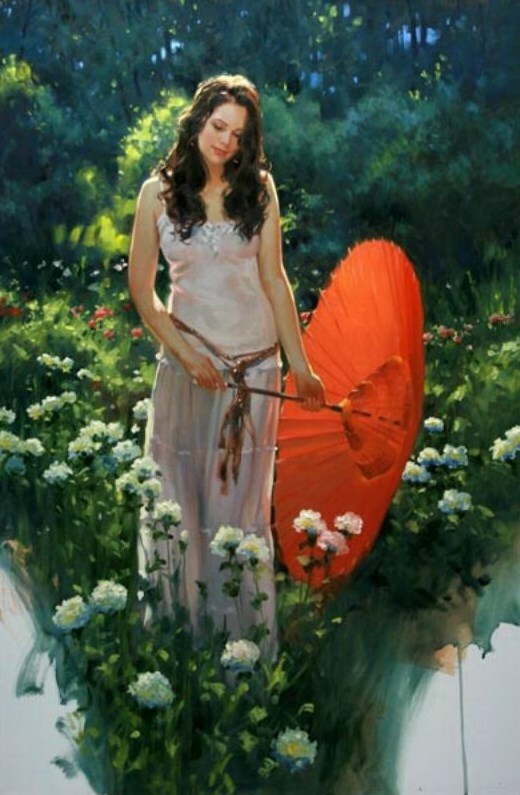 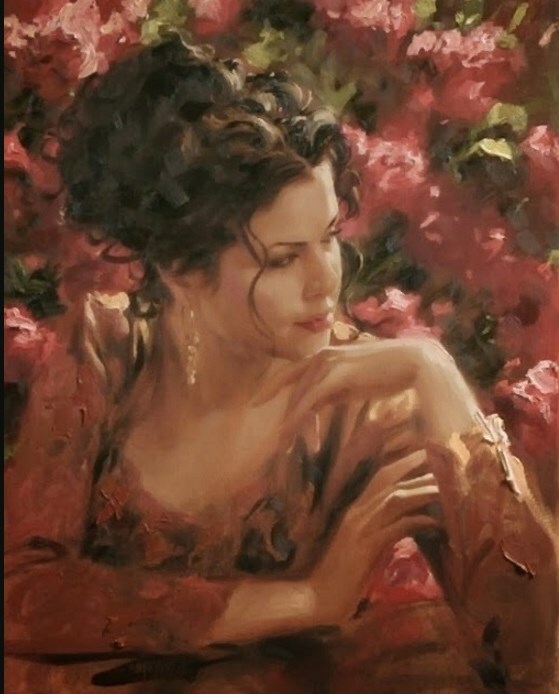 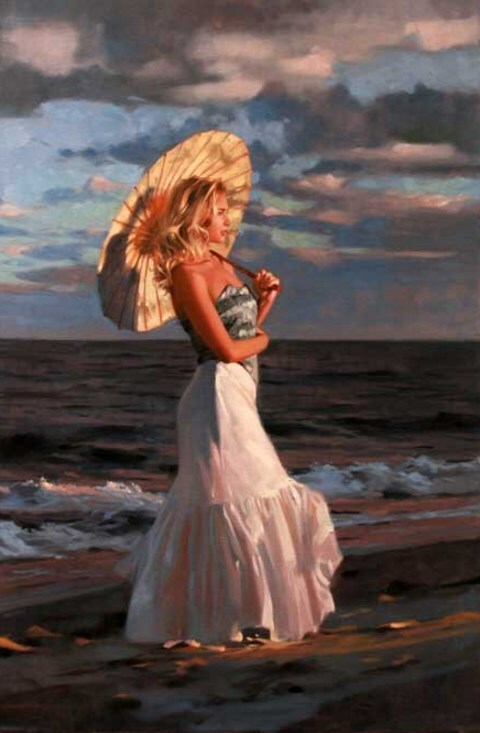 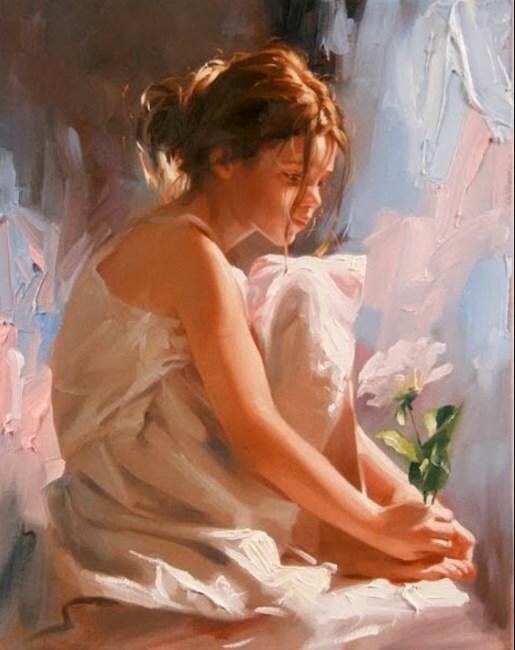 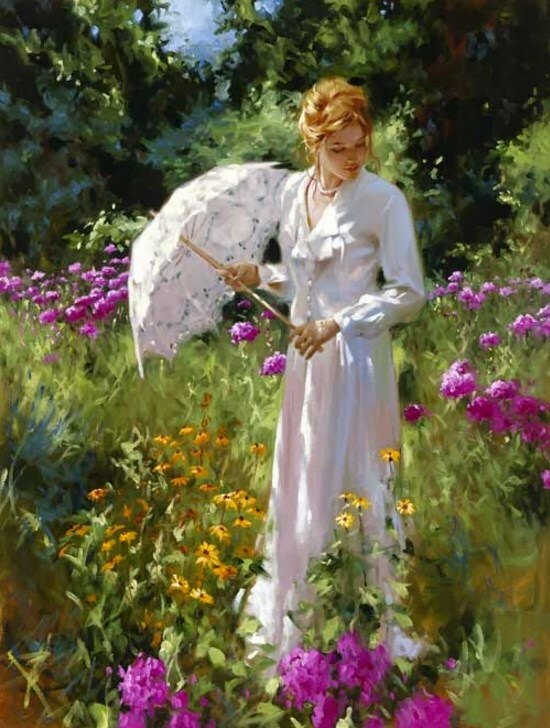 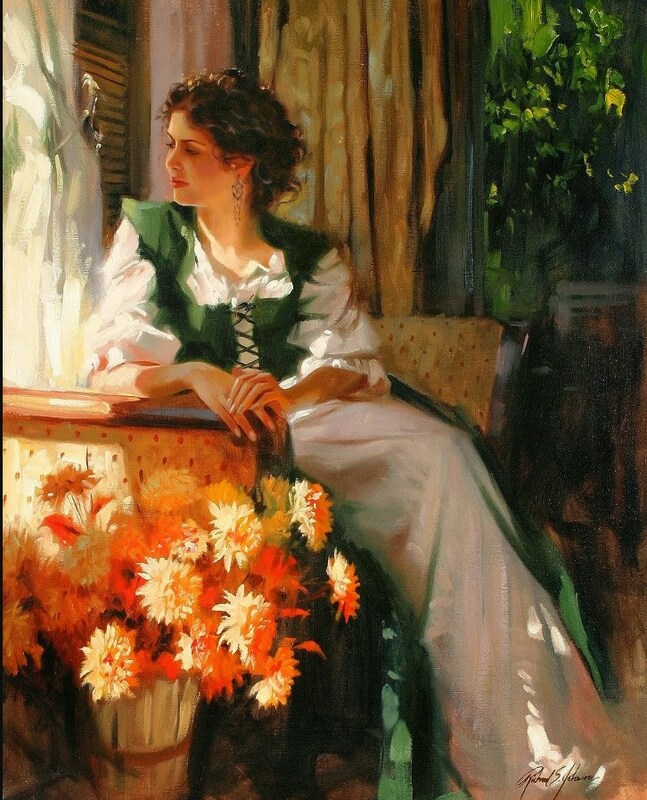 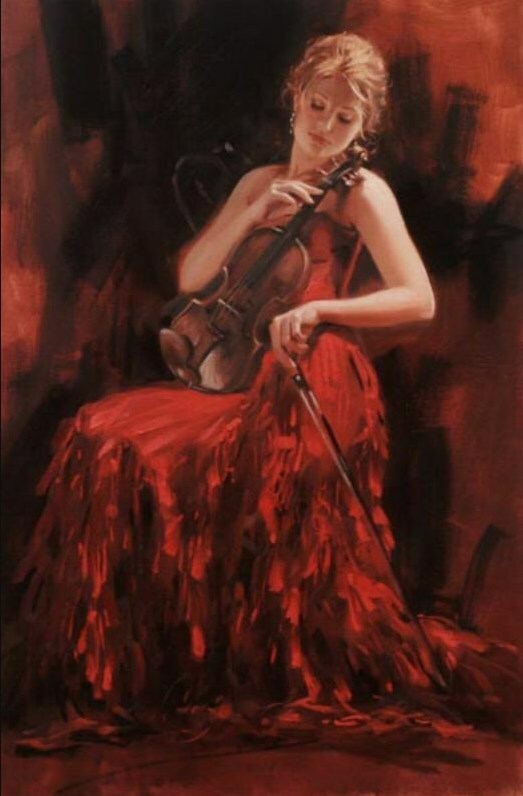 Richard S. Johnson was born in 1939 in Chicago, in a family of artists. 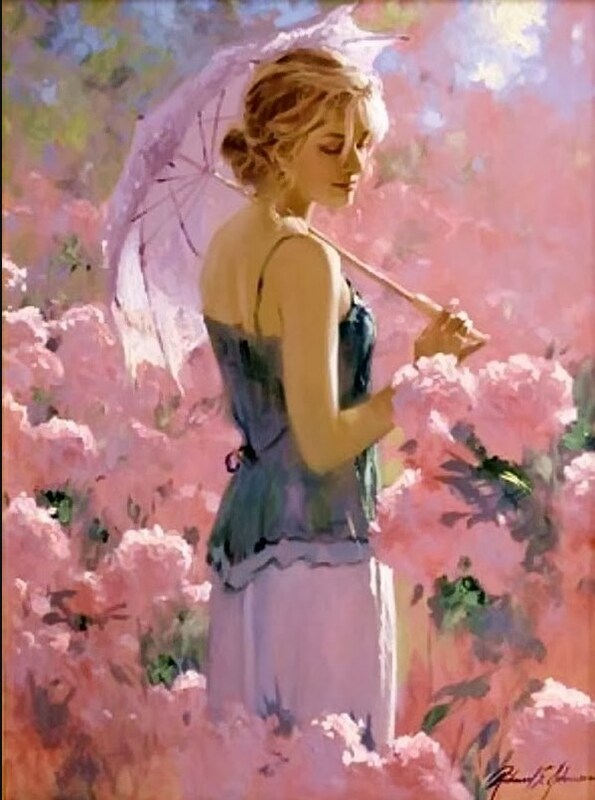 While still in primary school, Johnson was accepted as a scholar to the Art Institute of Chicago. 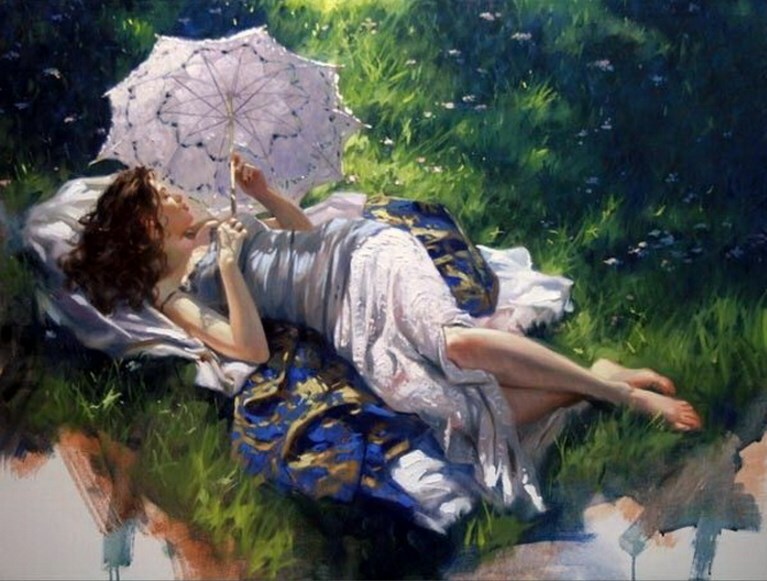 A graduate of the American Academy of Art, he embarked on a career as an illustrator. 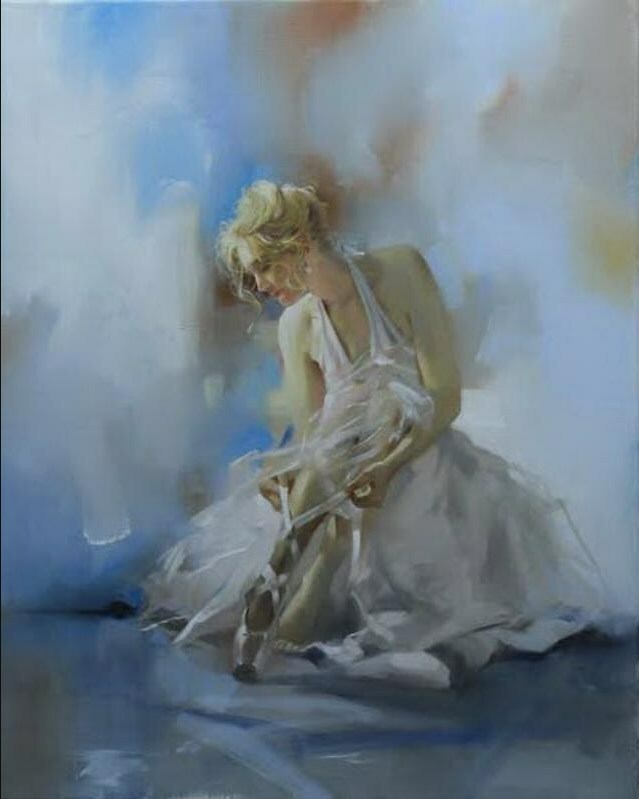 Johnson’s style has been regarded as having the technical excellence of Pre-Raphael Romanticism mixed with contemporary Expressionism and Abstraction. 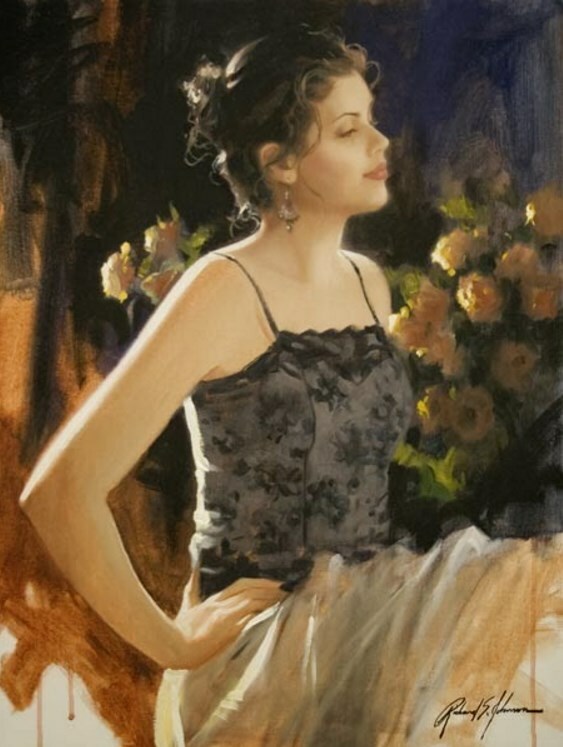 Johnson has also made portraits of historical personalities, such as former US president John F. Kennedy and former NASA administrator Richard H. Truly. 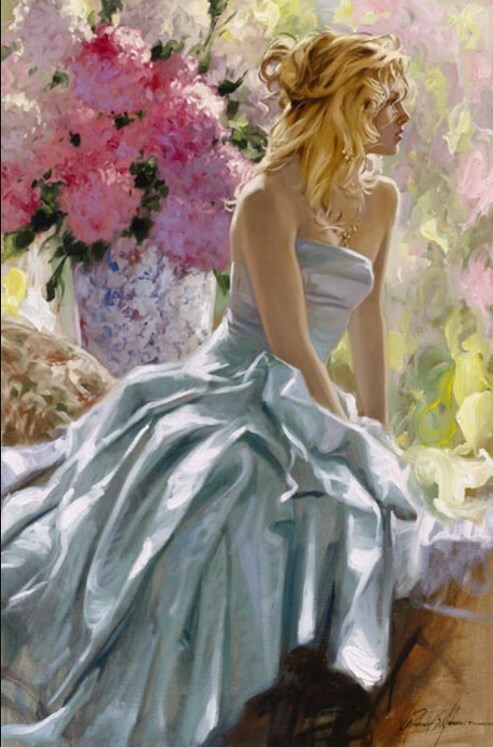 His portrait of JFK now hangs at the John F. Kennedy Presidential Library and Museum in Boston, Massachusetts. 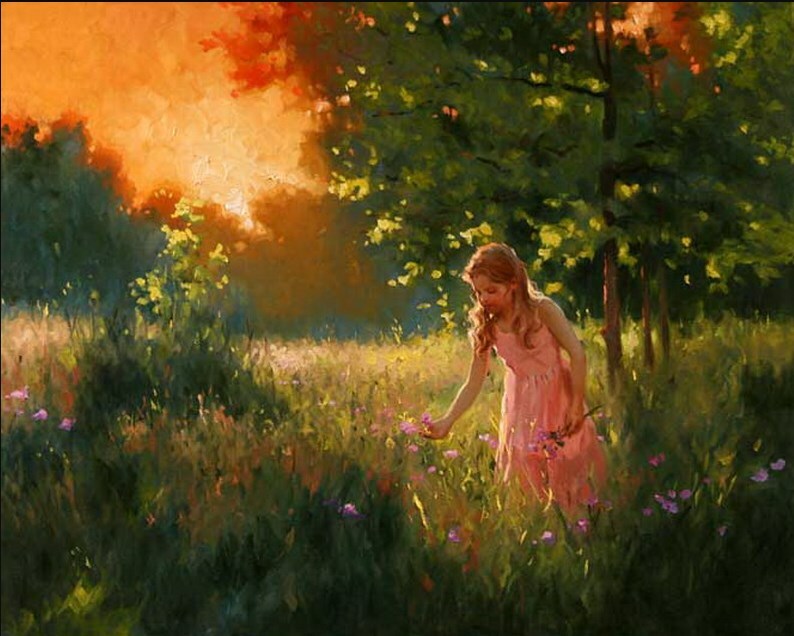 He was also commissioned to create a commemorative painting honoring former US presidents. 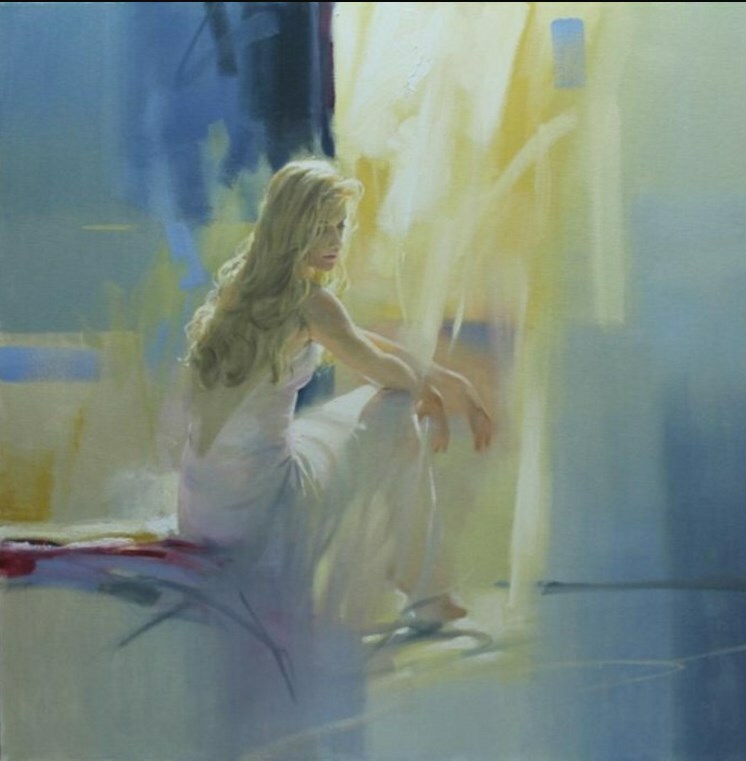 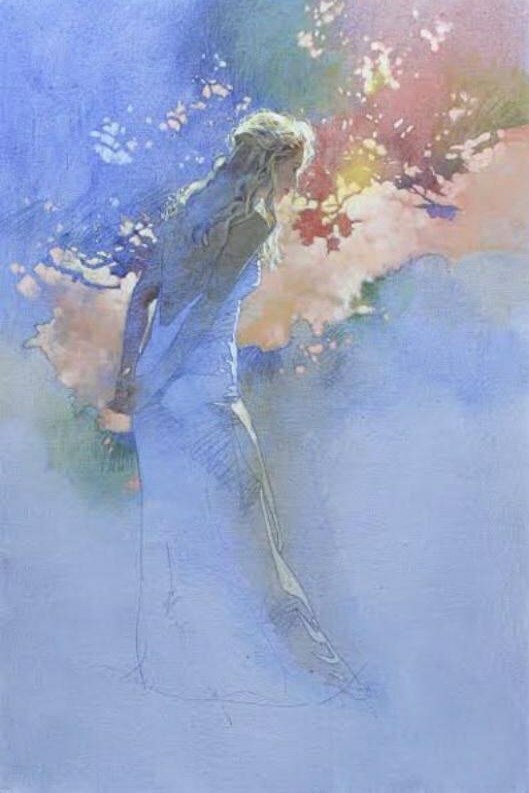 The painting is currently on display at the President’s Council on Fitness, Sports, and Nutrition in Washington, D.C.
Johnson’s sure brush strokes, bold use of color and impasto, and delicate rendering of the human face and form all work together in harmony to create “Poetic Intimacy”.